WASHINGTON, D.C. – On Friday, members of the National Council of Resistance of Iran (NCRI) presented satellite imagery and intelligence, said to be provided by informants working covertly inside the Iranian military, that indicates the Iranian regime is far from complying with the terms of the nuclear deal. Alireza Jafarzadeh, the deputy director of NCRI’s Washington office, presented the findings in a presentation covered by major media outlets. He said the People’s Mojahedin Organization’s network within Iran acquired the information. “We are talking about an extensive covert operation by the Iranian regime,” Jafarzadeh said. “Our information shows that their activities have been continuing in full gear despite the JCPOA,” he said using the acronym for the Joint Comprehensive Plan of Action, the formal name for the nuclear deal. “The engineering unit that is charged and tasked with actually building the bomb in a secret way for the Iranian regime is called the Organization of Defensive Innovation and Research,” Jafarzadeh said. It is known by its Persian acronym SPND (which is Sazman-e Pazhouheshhaye Novin-e Defa’i in Farsi). It has seven subdivisions, each of which carries out a certain portion of Iran’s nuclear program. IRGC Brig. Gen. Mohsen Fakhrizadeh-Mahabadi directs SPND. He is reportedly described as the AQ Khan of Iran. Jafarzadeh said NCRI shared the information presented to the media with the U.S. government in the last few days. 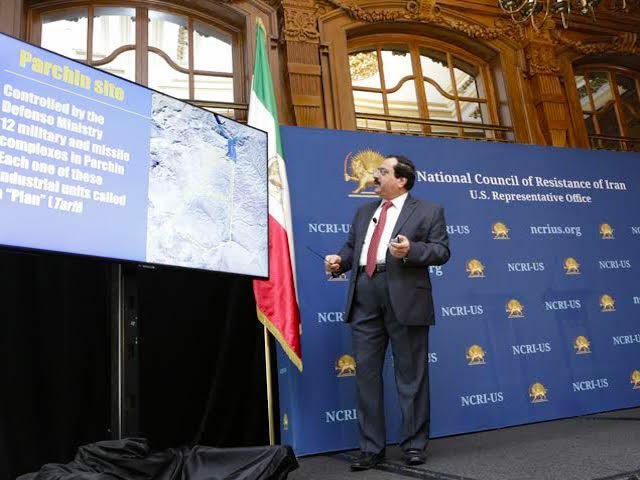 The MEK (Mojahedin-e-Khalq), which is NCRI’s presence in Iran, first exposed SPND in July 2011 in D.C. Jafarzadeh said the group’s findings were mentioned in the IAEA report in November of that same year. In August 2014, the State Department designated SPND under executive order 13228 in their involvement in proliferation. However, according to Jafarzadeh, the IAEA has not yet received access to SPND or any of the other sites where Iran’s true, and illegal, nuclear development is allegedly taking place. 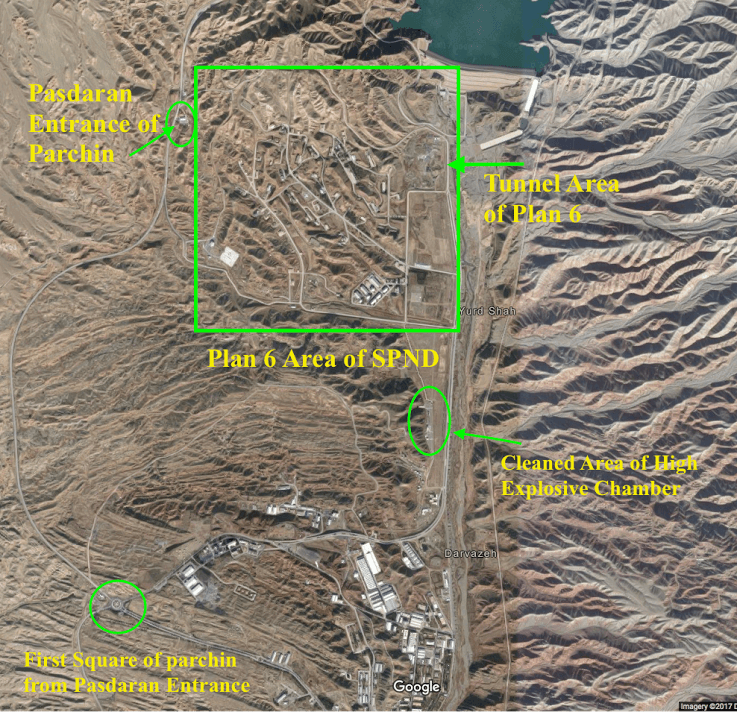 The pictures presented on Friday also showed an area located to the north of the Parchin military base: a newly-constructed site known as “Plan 6” which is allegedly a subdivision of SPND, known as METFAZ (the Center for Research and Expansion of Technologies on Explosions and Impact or Markaz-Etahghighat va Tose’e Fanavari-e-Enfa in Farsi). According to the report, METFAZ is working with “high explosives” in ways that are identical to “possible military dimensions” that Americans and other Western officials have suggested Iran is covertly pursuing in its nuclear program. The MEK had originally exposed original METFAZ location in September 2009. The location is known as the “Research Academy” to insiders. (In Farsi, it is referred to as Pazhouheshkadeh or Tahghighat). 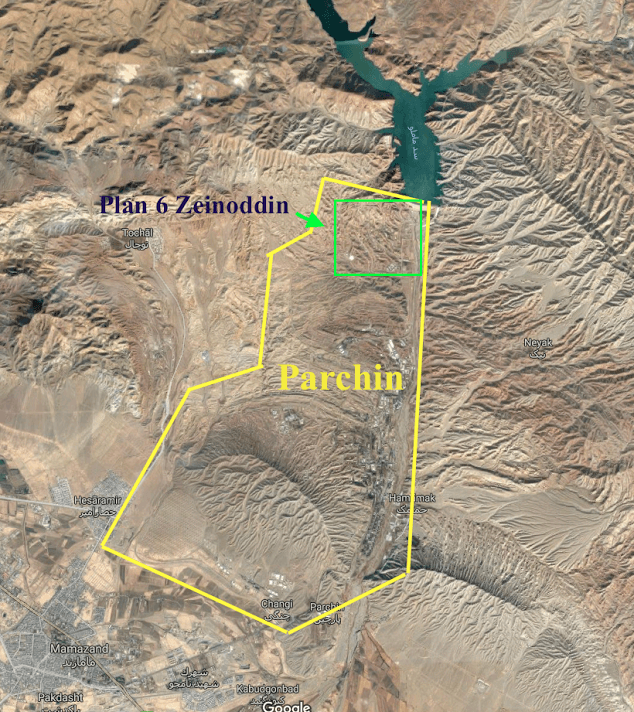 According to Friday’s report, large portions of METFAZ activities are carried out at Iran’s Sanjarian site and then transferred to the Research Academy which is situated within the Parchin nuclear site. Jafarzadeh said, “it’s imperative that these sites get inspected.” Specifically, he called for inspections on the Nour building (which is SPND HQ), the Mojdeh site (SPND), METFAZ at Khojir, Nouri industries at Khojir and the Research Academy at Parchin. “What we are arguing is that we should not limit ourselves to the scope of the activities going on in terms of monitoring,” Jafarzadeh said. “We need to look at the bigger picture.” He noted that the elements Tehran was hiding were actually the activities of the seven components of SPND. Under the JCPOA agreement, uranium enrichment research and development activities are permitted to take place exclusively at the Natanz facility at no more than 5,060 centrifuges for the next eight years.